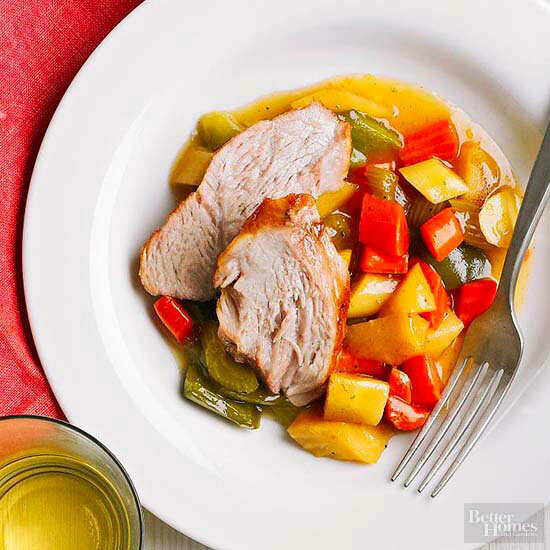 Here is another yummy looking looking recipe that is easy to throw into the crockpot before heading to work. This is such an easy recipe. If you want, subsitute the veggies for what is in season in your area, or pull some squash out of the freezer and add. 30 minutes of prep time, and 4-5 hrs on high or 10-12 hrs on low and you have a great looking dinner all ready when you get home. Just click the pic below for complete list of ingredients and the full recipe!